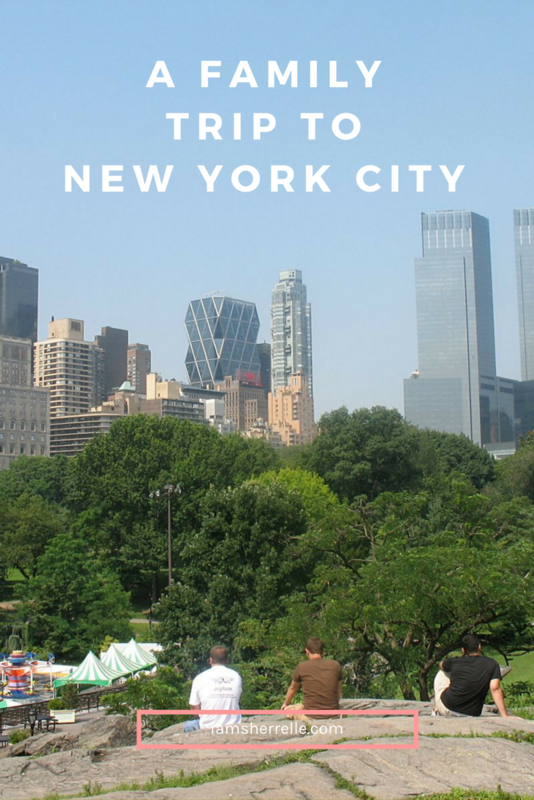 So the kids and I bum-rushed hubby’s business trip to New York City and had a week vacation in our old stomping grounds. It was fun visiting our favorite places as former residents and tourists at the same time; we had the best of both worlds. We were familiar, yet excited to be there. My daughter is finally at an age where she can really roll—no snacks, no juice, no stroller—so I could really enjoy this time with them. 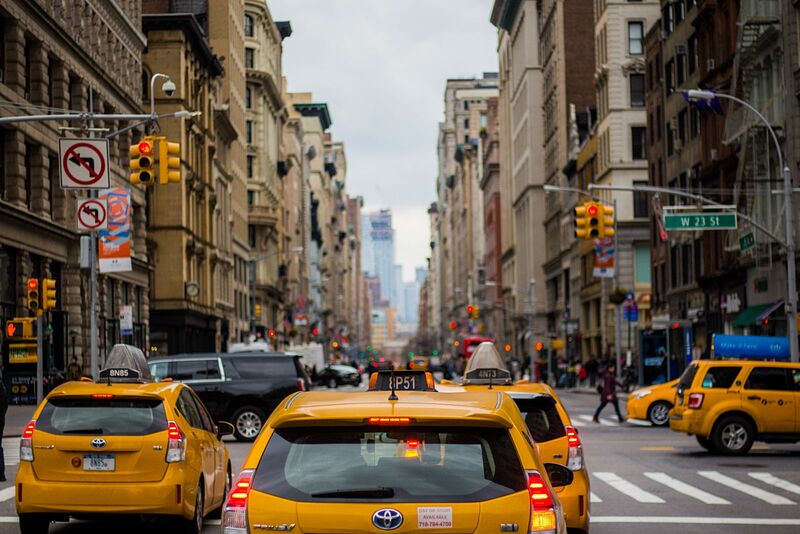 We stayed at a hotel on 55th between 6th & 7th—a perfect location as we could walk around Midtown, hail a taxi easily or walk to the corner for the subway. While The Blakely is a boutique hotel, it is old-school style with real furniture and polished wood (the logo is a bowler hat), not a modern/hip/trendy hotel. We had a suite, large by NYC standards, with 2 flat-screen televisions, 2 queen beds and a daybed, a mini kitchenette with a fridge, dishes and microwave and a large overhead shower. The staff was very accommodating and present to help in any way. After we arrived and checked in, we walked a few blocks to Burger Joint. This place is one of those “hidden” NYC gems—if you don’t know, then you don’t know. It is tucked inside the lobby of Le Parker Meridien hotel, sort of behind the check-in desk and there isn’t a sign, just a small neon burger. When we walked through the curtains my daughter asked, “Why are we going backstage?” The restaurant—or “joint”, as that is what is it—is a stark contrast to the beautiful, spacious hotel lobby. Dark, tiny and walls full of graffiti, the place is always packed and they only take cash. The burgers and shakes are good, but really go for the experience. Very cool, very Manhattan. Next we all got an unlimited Metrocard ($25 per person) that allowed us to ride the subway or bus as many times as we wanted for 7 days. My son particularly enjoyed mapping out our subway route everyday (since he now wants to attend NYU for college). A few stops and we were in The Village where we wondered around NYU’s campus, ate some delicious gelato at Grom and watched basketball at The Cage. The highlight of this day was our next stop at the New Era flagship store in SoHo. My son, normally pretty tight with his money, brought plenty to spend on this trip and his first purchase was a very cool Mets hat. The next day, we ate breakfast at one of our favorite breakfast spots, Cafeteria. It was great as usual. From this point on, it was just me and the kids for most of the week, as someone had to work to pay for this trip (poor husband, he thought that he would have had more time with us). We met some friends at The Museum of Modern Art, one of my favorite places. 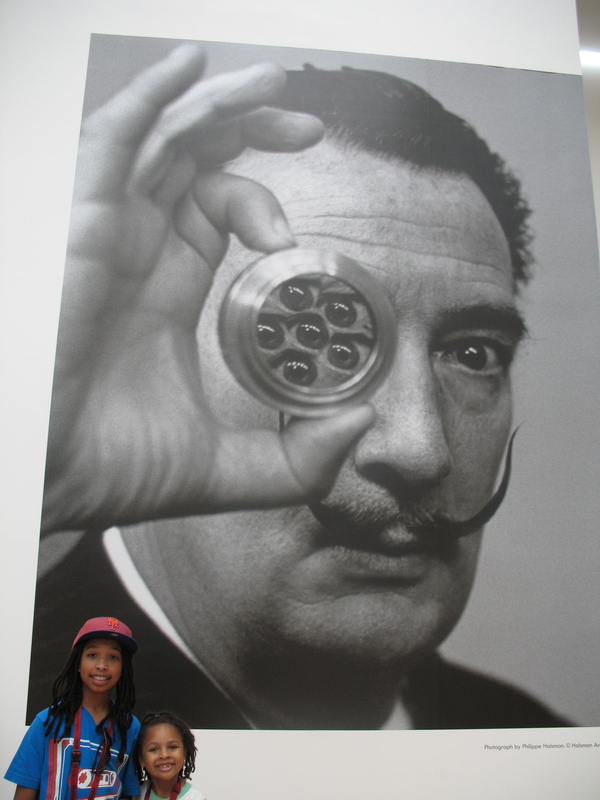 Besides all the breath-taking art by my some of my favorite artists like Andy Warhol, Pablo Picasso and Henri Matisse, there was a special exhibit on the art and films of Salvador Dali, which my son particularly loved. After the MOMA we took the subway to Dylan’s Candy Bar because my daughter was going to lose her mind. She had been hearing us talk about it forever and doesn’t remember going there as a toddler. To say that she has a sweet tooth would be an understatement and I knew that she would go crazy in Dylan’s. She did. They were renovating the first floor, so everything was squeezed into the lower level, but we still had fun and bought way too much candy. Later that night we tried the Hershey store in Times Square; that was a big disappointment. We met Husband and a friend for dinner at Ruby Foo’s, which is totally touristy, but has special memories for us. We heart New York! To read part 2 of our family trip, click here.